We held an event under our project 'Bringing the community together' on 27th September at the Wednesfield community centre. It was an opportunity to promote inclusive communities that value cultural diversity, by encouraging communities to come together to build community resilience to tackle the issues that they face. We were pleased to work in partnership with the Migrant Empowerment Group, TLC College, and the Community Action and Training Service. 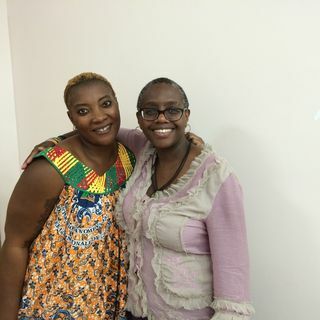 Pictured at the event are, on the left, Alvine Dongmo-Noumay from the Migrant Empowerment Group with Janet Taylor a Federation Board member. The project is being funded through an Awards for All BIG Lottery Grant.